Kindle Format - How to convert? Kindle Format - How to convert? >> Kindle Format – How to convert? Kindle Format – How to convert? We have lots of reports, books and other documents in PDF format, right? There are others, as well. Thus, ability to read our PDF’s or other documents on Kindle is something that we love. For this, we need to convert other formats to Kindle format. 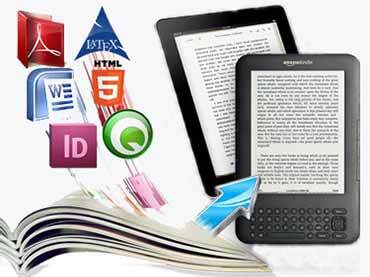 Before explaining this process let’s learn the basics of Kindle format? What format does Kindle use? Kindle usually uses .azw for books, but it can also read .txt files and .MOBI files. The “AZW” format is used for e-books that you buy at Amazon’s Kindle Store. It is the preferred format to ensure maximum readability on the device. It is a variant of the MOBI format, originally created by French company Mobipocket. Amazon purchased Mobipocket and adapted the format for use on the Kindle. As we said, .txt, .mobi, and .prc files are other formats that Kindle supports natively provided that they are DRM-free. Moreover, it supports PDF format with some tweaks, as well, but not all PDF’s display well on Kindle. The Kindle works as a reader for text files, HTML documents, MS Word documents and PDF files; the mail-to-Kindle service can convert them to the Kindle e-book format. While the Kindle can’t read Open Office documents natively, there are several utilities (including Open Office, and Google Apps) which can convert them to Microsoft Word. The Kindle Fire, a fully-fledged Android tablet, can download and install suites like QuickOffice, which allow the tablet to open and edit many Microsoft Office formats. As we all know, many other e-readers use EPUB format. But Amazon Kindle doesn’t support the EPUB format. However, we can read these ebooks by converting them with the Calibre program. In terms of media, the Kindle can play MP3 files and audio books of Audible (AA) and Audible Enhanced (AAX) formats from audible.com. Amazon says it can convert the graphic file formats JPEG, GIF, PNG and BMP. Some people are now using the Kindle to read scanned manga comics; a program called Mangle allows you to convert manga if scanned to one of the graphic file formats supported on the Kindle. Kindle Paperwhite Format is almost the same and supports Kindle Format 8 (AZW3), Kindle (AZW), TXT, PDF, unprotected MOBI, PRC natively; HTML, DOC, DOCX, JPEG, GIF, PNG, BMP through conversion. If you own a Kindle Fire, then you are also eligible to watch Flash, HTML5 and MPEG 4 video files, as well. There are three main options: E-mail, by Calibre, and online. As a conclusion, it is possible, free and easy to convert other files into Kindle format and enjoy displaying them on our Kindle devices. Automated conversion options for kindle formats may be good and easy to access. But, when it comes to quality – trouble-free readability and retaining originality, the task should be handed over to professional hands, that is, a highly experienced and technically sound service provider like eBookenhancers – http://www.ebookenhancers.com that has up-to-date knowledge on the conversion techniques. Hello, have you heard about this free online toolkit? http://kitpdf.com/ is a good alternative to Calibre software, allowing users to convert easily pdf files into epub or mobi formats which are readable on the eBook. All you have to do is upload your files and see the results. Thanks! I would prefer https://www.freefileconvert.com/pdf-azw3 to convert my Pdf files to Amazon Kindle image files. It’s a free online file converter to convert files in different formats. Pdf files can be converted into 100 different formats without even downloading a software.